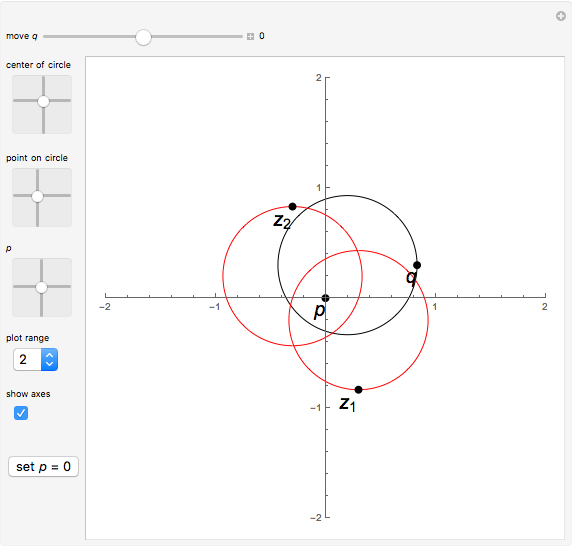 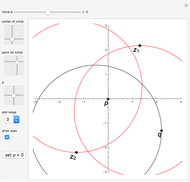 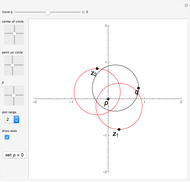 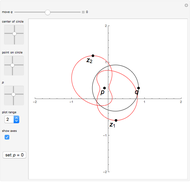 This Demonstration plots the locus of the solutions of a complex quadratic equation (rather than ). 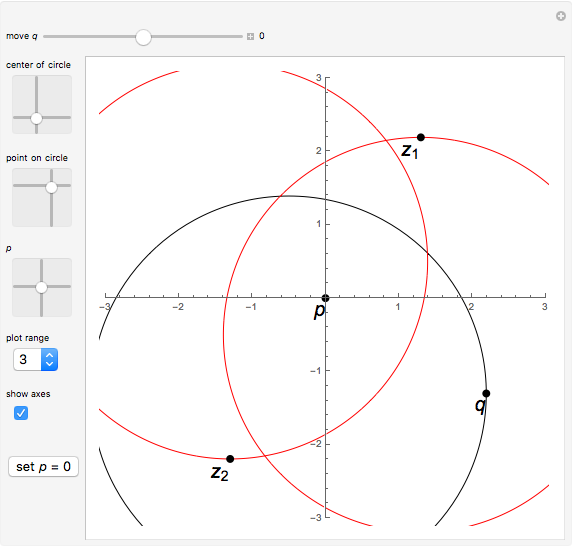 The point moves on a circle with center and radius , with a point on the circle. 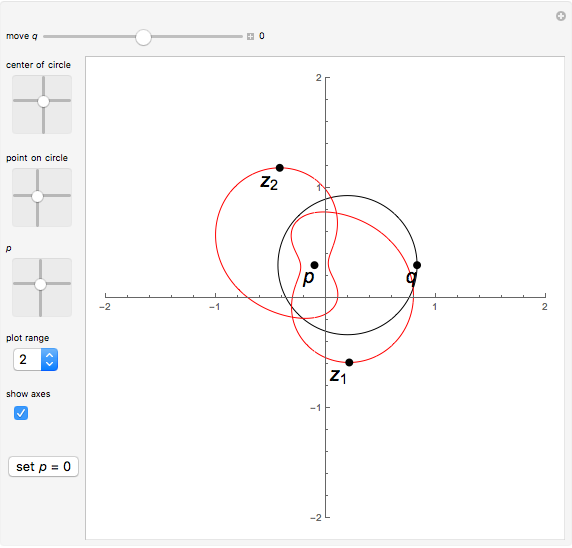 Marko Razpet and Izidor Hafner "1B Locus of Solutions of a Complex Quadratic Equation"